Charles Drew was one of those exceptional individuals who seemed to excel at everything he did and would go on to become great pioneer in the field of medicine. Dr. Drew’s development of the blood plasma bank has provided a second chance of life to millions. Drew was also a star athlete in college, setting collegiate records in track and field and named an All-American as a halfback in football. He would later become one of the most respected doctors in the country, named to influential positions in both the United States and in Britain. Take a look at our Charles Drew profile. 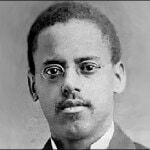 Also, check out his profile at the Black Inventor Online Museum.